If you have an active arrest warrant you are at risk of being arrested by law enforcement in any state. 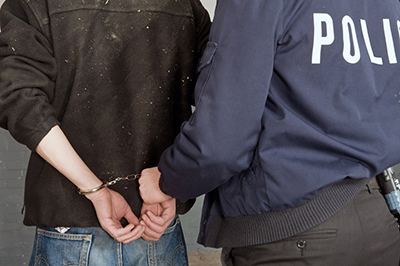 If you want to resolve the arrest warrant our firm can help. Our firm will file a motion for an O.R. Release. If you have substantial ties to the community and do not have a record of not showing up for court dates or being a flight risk, this may be your best option. What this means is that we are asking the judge to release you without bail. So long as you are not a flight risk and have substantial ties to the community this tends to be granted and is the best option. This allows us to move forward with the case, and start negotiating the case or build our defense without you stuck behind bars or wasting money on bail. When you hire an attorney and come before the court, this shows you are serious about resolving the alleged charges. If you are picked up by law enforcement you will need to post bail or remain in custody in most circumstances. Sometimes the judge will at least want a “walk through.” This means if the judge will release you without bail, he or she may want you to check in at the jail and get finger printed and processed in return for releasing you without bail. This takes several hours, but is far better than posting bail or staying in custody. If the judge is not inclined to give you an O.R. release, our firm will argue for a bail reduction. It might be wise to have a bail bonds agent at the hearing ready to bail you out or be pre-approved if the judge demands bail as a condition of release. If you missed a court date or failed to do a requirement, a judge will issue a bench warrant. This to allows law enforcement to arrest you. If you have a bench warrant or a failure to appear, out firm can file a motion to quash the bench warrant. Contact our firm today at 702-895-9111 for a free consultation regarding your warrant status. This is for informative purposes only. This does not create an attorney-client relationship. Always seek legal counsel.